LifeSpan is dedicated to make people live healthier, more active and longer lives. The brand name speaks for itself. 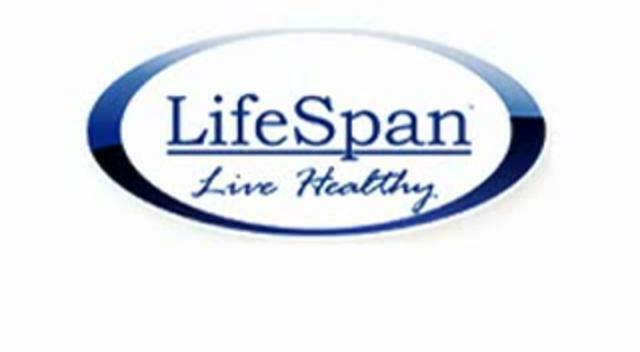 The brand of LifeSpan are committed and passionate about delivering products and services to over 40 countries focused on living a long and healthy life. LifeSpan goes out of thinking to the traditional definition of exercise equipment. It believes in supporting an active lifestyle means manufacturing products that work indoors, outdoors, at home, in the office or in the gym. LifeSpan is such a brand which gets across high value, superior quality and useful innovation in their products right from their award winning exercise equipment including treadmills, exercise bikes and elliptical cross trainers, to health monitors including weight scales and blood pressure monitors, till the USB Activity Tracker. LifeSpan products have also been featured in as best fitness equipments in the Washington Post, SparkPeople, Yahoo!, FitBottomed Girls, Health, and the Financial Times. LifeSpan products price starts from $2999 dollars .Lifespan provides full minimum 12 months warranty coverage on all products sold. Warranty periods may vary for different types of products. The design and developed products of LifeSpan are easy to use, durable and innovative, and keep focus of design on the user’s safety and comfort, and maximize the health benefits of the workout. With creative console features like Intelli-Key which is a smart lighting system that steps you through console operations, and the Intelli-Guard is the safety feature that automatically pauses the treadmill when you step off, these all mechanisms makes the equipment simple and user-friendly.